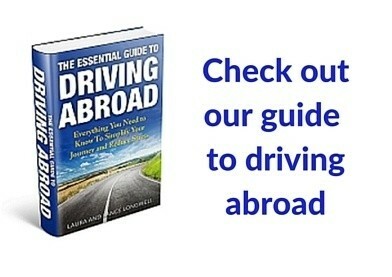 Traveling the world is fun and will open you up to various cultures and experiences. Overall, it’s something that everyone should consider doing, but getting sick can take the fun out of exploring the world. 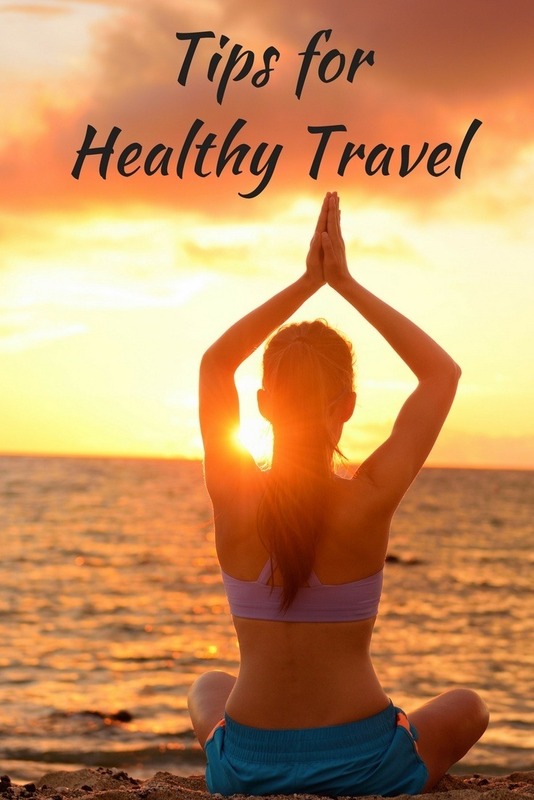 It’s up to you to learn how to stay healthy while traveling. Here are seven tips for healthy travel, wherever you go. It’s easy to get dehydrated when traveling, whether by flight, train, or in the car. 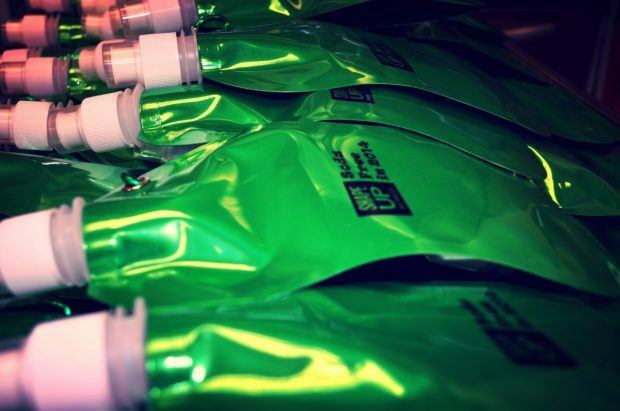 Buy a collapsible water bottle to help ensure you keep your fluid intake up. It’s possible to collapse it down for easy storage through security at the airport and fill up when you get on the other side. When you are filling up your water bottle, check the source. You may need to buy bottled water to ensure the water is safe to drink. It could also be worth investing in purification tablets, so you don’t need to worry about the water source. If you need to take medication on a daily basis, make sure you stock up. 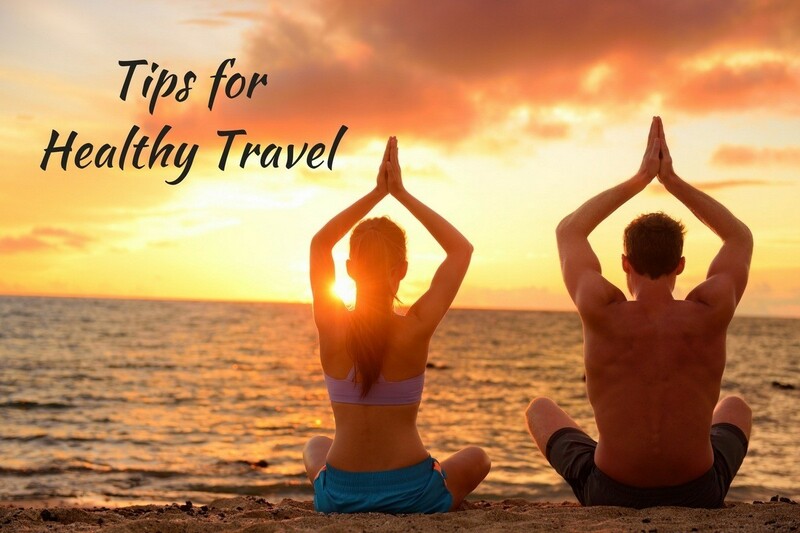 This is the best way to ensure healthy travel and avoid your healthy problems flaring up. 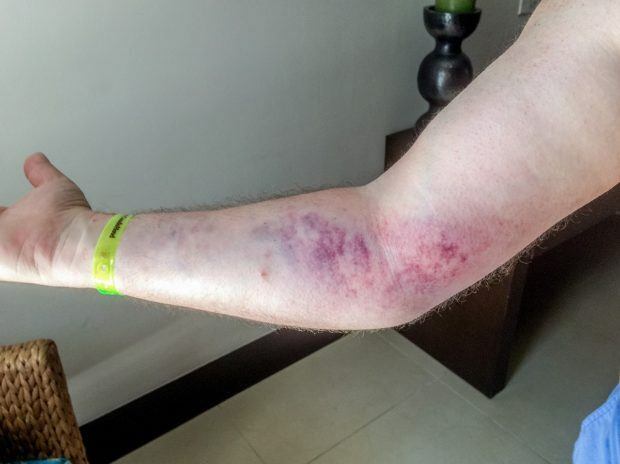 If you are stuck in a foreign country for any reason, you don’t have to worry about finding a hospital or doctor and get a new prescription – this is expensive and you’re not guaranteed to get the medication you need. Even if you don’t take medication regularly, you should take some pain killers with you. Headaches, diarrhea, allergies, and other health issues can crop up at any time. They’re common while traveling if you suffer from stress easily. Don’t overlook motion sickness. If you’re prone to it, be sure to bring an extra supply of motion sickness medication on your travels (or your favorite non-medical alternative). 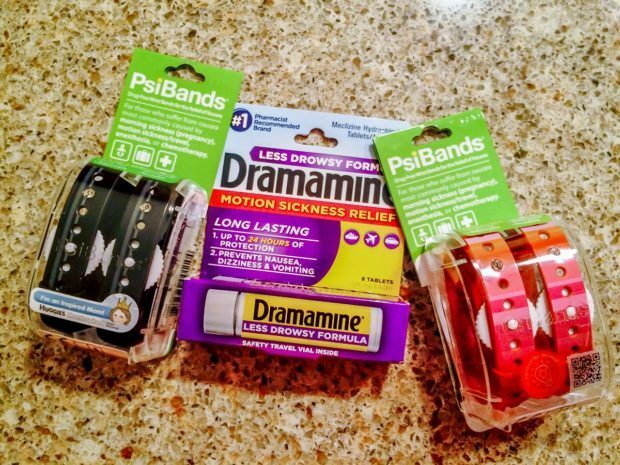 Laura has bad motion sickness and swears by the Dramamine’s less-drowsy formula. 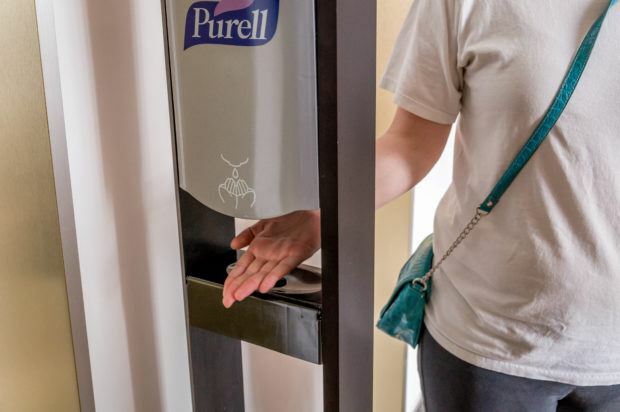 When finding out how to stay healthy while traveling, you’ll hear about hand sanitizer. This is certainly something that you want to stock up on and carry with you at all times. It will help to kill off bacteria that you come into contact with. You will still want to wash your hands regularly. You don’t know about the illnesses other people that are carrying or the type of parasites and bacteria that are rampant in the area. There are certain vaccinations you will need to get to be allowed into some countries. These are to protect their local citizens from any health issues you may bring into the country but also to protect you from health issues known in the country. Make sure you check if you need any vaccinations and injections before you travel to a particular destination. Get the vaccinations in plenty of time before traveling. 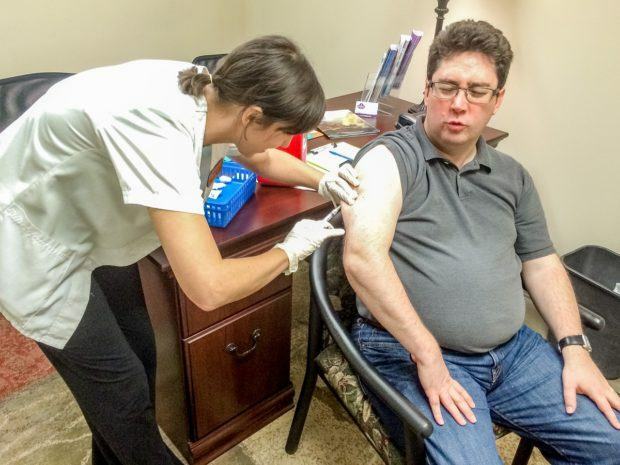 Get the vaccinations in plenty of time for traveling. Some people may have reactions to some, and you don’t want to be ill on your flight when you could have avoided it. Deep vein thrombosis is a potentially serious complication of long-haul flights. The best way to prevent this is by using compression socks. I fly to Europe frequently and have used the CEP compression socks. They help to improve the blood flow, even while you’re stuck in a seat for hours at a time. If you can, try to walk on the flight at least once an hour. This isn’t going to be easy on a packed flight and you will need to work around the air stewards with their carts. You never know what could go wrong. While most of the time you won’t need your country’s embassy, there are times that you may need help. You may have medical issues that mean immediate extraction from the country or there may be a sudden health hazard that occurs while there. Take a note of the information for your country’s embassy wherever you go. Store it in your wallet or purse. Despite planning, sometimes accidents happen. Be prepared! An ounce of prevention goes a long way. However, there will still be times when all problems can’t be avoided. For this, you’ll be thankful to have travel insurance. These policies will provide in-country medical care as well as emergency evacuation assistance if you were to get seriously injured or ill. Getting a travel insurance policy is worth the peace of mind. Healthy travel is essential to protect yourself and enjoy your whole vacation. Follow the above seven tips and you will protect yourself and those with you. What do you think about 7 Tips for Healthy Travel? 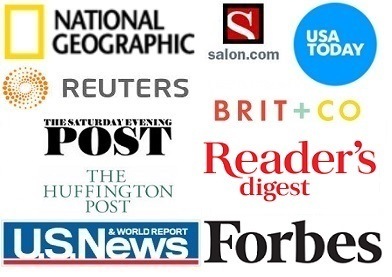 Travel insurance is probably the most important suggestion on this list. Nothing stings like a five-figure medical bill.